I have to confess that, somewhere along the line, I became an ammo snob. Now this wasn’t something that I had done intentionally; it just happened. 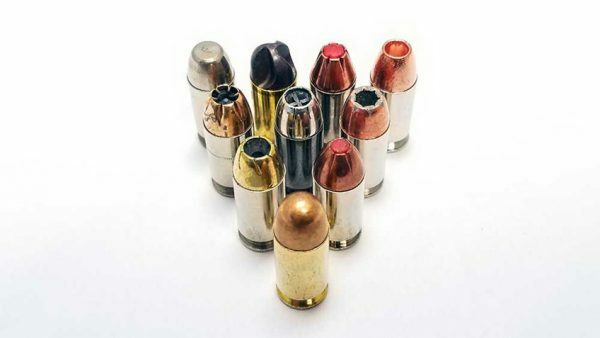 While there is some really good defensive ammunition out there built for all kinds of particular uses, I had never believed in using specialized bullets for different tasks. I always felt that it was way more important to just learn to hit stuff with whatever ammo you had chosen and settled on using. A few years ago, I regularly kept a travel trailer out in Arizona. Coincidentally, it was very close to the Gunsite Academy, and it was nicely located just above the headwaters of the Verde River at a friend’s horse ranch/bed & breakfast. An entirely delightful place. One evening, after dark, I drove up to the trailer and let my dog out of the car. Now Katy, who was snake-trained, quickly informed me that we were not alone and there was one of those nasty rattlesnakes nearby. Pulling out my handy tactical light, I discovered a rather-large Mojave rattler just under the trailer steps. In addition to my tactical light, I just happened to have a pistol on me. Now this pistol was loaded with a good brand of defensive JHP ammo, so I was not worried. I had never owned any of that snake-shot stuff that so many were fond of. After all, a fella ought to be able to hit was he is shooting at with regular, old bullets. So armed, I set out to engage this venomous critter. As I sighted his head, I realized that I couldn’t shoot in that direction because my friend’s house was just over there and a ricochet might impact it. Not to worry, I’ll just shoot from this other direction. Oh, but the horse barn is over that way! I really do not like to have close contact with Mojave rattlers. Those things have a neurotoxin as well as the common hemotoxin. It’s bad stuff. So, gritting my teeth, I got a stick and dragged the snake out to where I could safely shoot it without hitting a bunch of other stuff that I really wasn’t supposed to. There was some dancing around on my part and, I regret to report, some unseemly language before the deed was done. I went down the next day and bought some snake-shot cartridges.The moral of this story is: Don’t be an ammo snob! Our ammunition manufacturers make some great ammo for just about every occasion. Learn about it. Experiment with it. Take advantage of it. In my newly reformed persona, I certainly do. Late Breaking Jim Wilson Appearance News! This entry was posted in Ammunition, Concealed Carry, Guns, Personal Defense, Philosophy, Second Amendment and tagged ammo, animal defense, Defensive, self-defense, snake loads, snake shot. Bookmark the permalink. Same here. I hike often here in East Texas. S&W 60-15 with a snake shot and four 146gr Speer semi-jacketed HPs over 12 grains of 2400 (just a real hot .38 load).